minimum group of three persons. 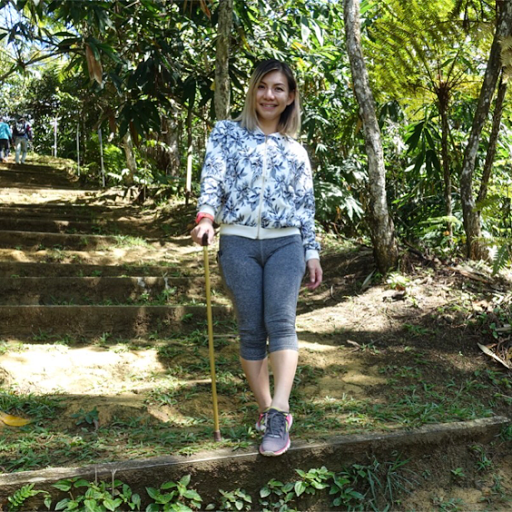 There are also a variety of packages offered by Treks to cater to different groups including individuals, families and corporations that bound to satisfy every kind of pleasure-seeker. 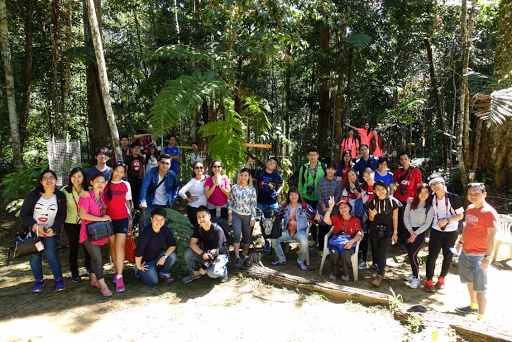 For example, The Mountain Man Challenge for those into sports and physically-challenging recreational activities, team building activities like the REEL simulator, an action learning programme based on popular movies, contemporary simulation games, treasure hunt and Fashion Forest's own Amazing Race. The focus of Fashion Forest is the forests in Genting Highlands located between 3,000 ft and 6,000 ft above sea level. There are three forest types Treks refers to as “alliance of rainforests.” These are divided into four groups, namely Fashion Forest at Awana (upper Dipterocarp Forest 3,000 ft above sea level), Slay Forest at Chin Swee Temple (Montane Oak Forest some 4,500 ft above sea level), Chocolate Forest (Montane Ericaceous Forest some 6,000 ft above sea level) and Skyride Forest in Awana. Other interesting programmes to pursue at Fashion Forest are the Art, Music & Nature Festival and the Sax & Jazz Art Club. 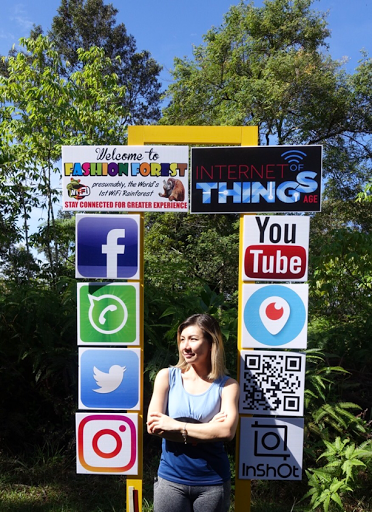 An important element to ensure the success of Fashion Forest is the availability of internet connectivity which participants can expect to enjoy this for free. Technology is utilised to help people “see more, discover more and enjoy more” through fun and practical ways via visual aids like the Natgeo Frame, living sculptures (like trees and plants), Nature Pergolas and elevated platforms. Brought to the fore is the many special trees in the forest that are “animated” to heighten appreciation of them. 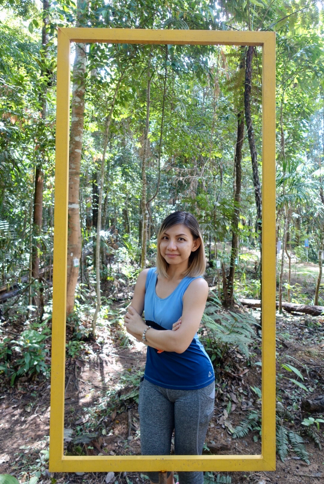 The Montane-Ericaceous forest is especially fascinating, with trees that are generally smaller in size and are gnarled and stunted with bamboos, ferns and mosses being the main residents here. 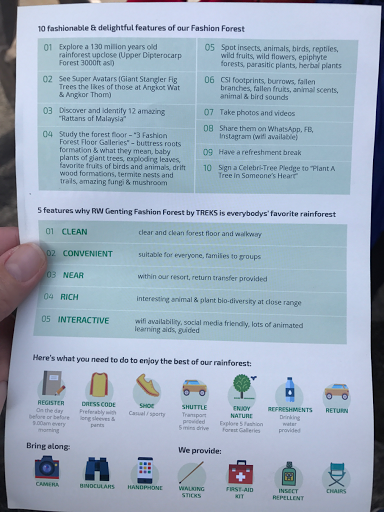 According to Treks, these forests are unique for many reasons including their bio-diversity that is intact and abundant, and the fact that they enjoy protection from public abuse, being part of Genting Highlands. 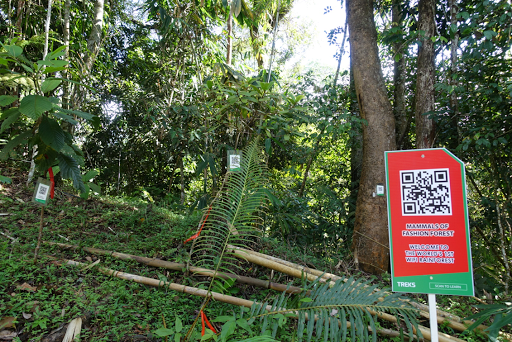 Accessibility and the short distance between the forests and Kuala Lumpur also play a major factor. And apart from programmes offering nature walks and recreational outdoor activities, Treks also offers some unique programmes like Discover the Elusive Helmeted Hornbill, where you can find out more about the four species of hornbills that call the area home, the other three being the Rhinoceros Hornbill, the Great Hornbill and the Bushy Crested Hornbill. This particular programme is priced at RM250 per person for a minimum group of four persons. Other programmes worth checking out are Discover the Elusive Black Gibbons, Discover Birding, and Enjoying Herping Searching. Discover Birding sees avid bird watcher Henry Goh sharing his knowledge of the endemic birds and migratory birds that are found in the Awana area. Overall, the 2 hours plus trekking session was an amazing and interesting experience with absolutely gorgeous sights. Treks Nature Enterprise is based at Awana and the English Garden in Theme Park Hotel is helmed by Eddie Chan and Pat Ang.